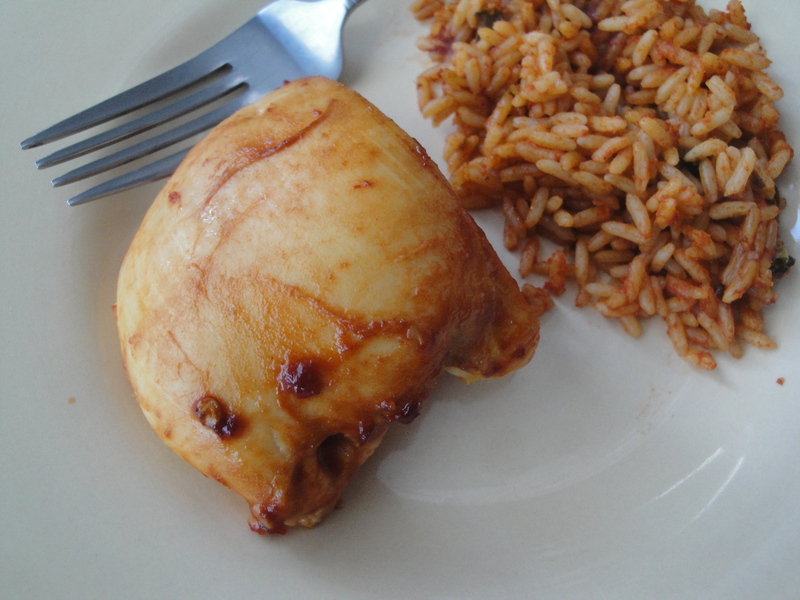 Here is a simple recipe for chicken that only has five ingredients: Latin Baked Chicken. 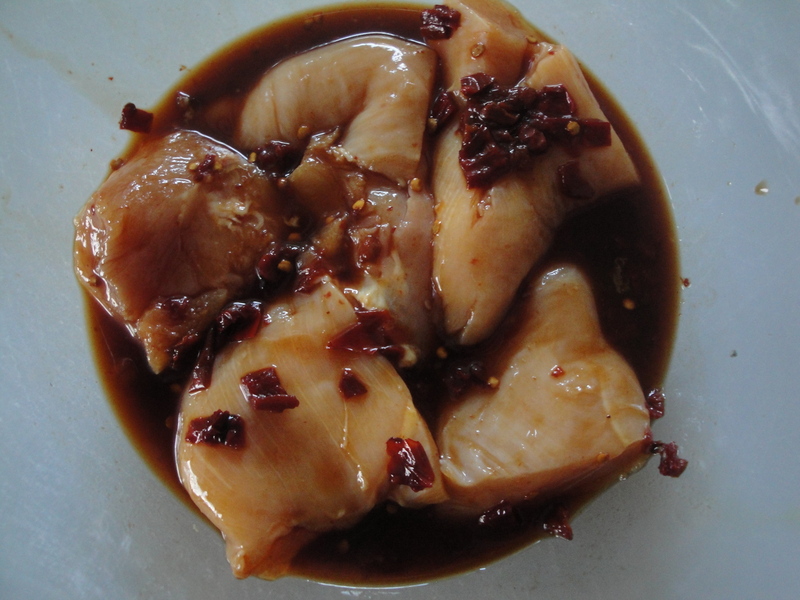 A short marinade of lime juice, honey, soy sauce, and chipotle chiles in adobo sauce, a quick trip to the oven and you’ve got dinner. 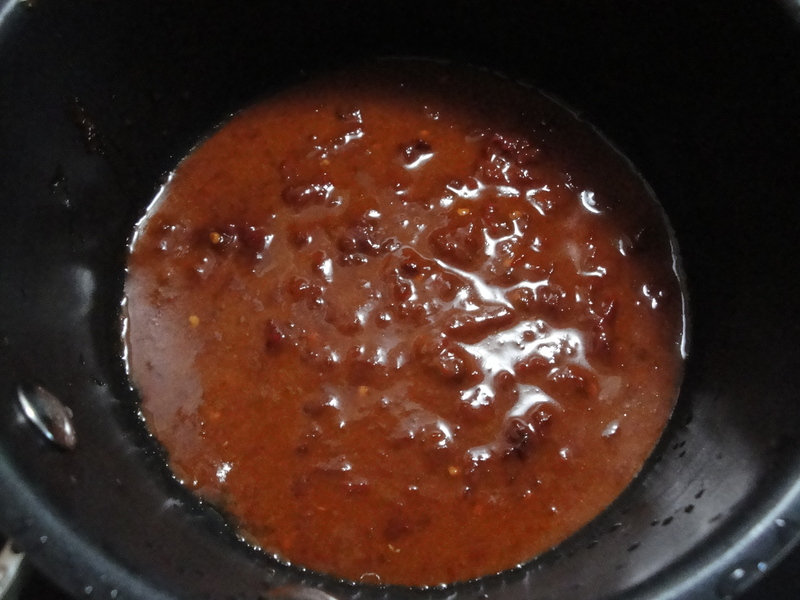 If you’ve never had chipotle chiles in adobo sauce, they are nothing more than smoked jalapeno peppers. These little firecrackers are deliciously smoky in flavor and very spicy. The lime juice and honey in this marinade cuts the heat of the peppers slightly but if you don’t like spicy food, you probably won’t like this. 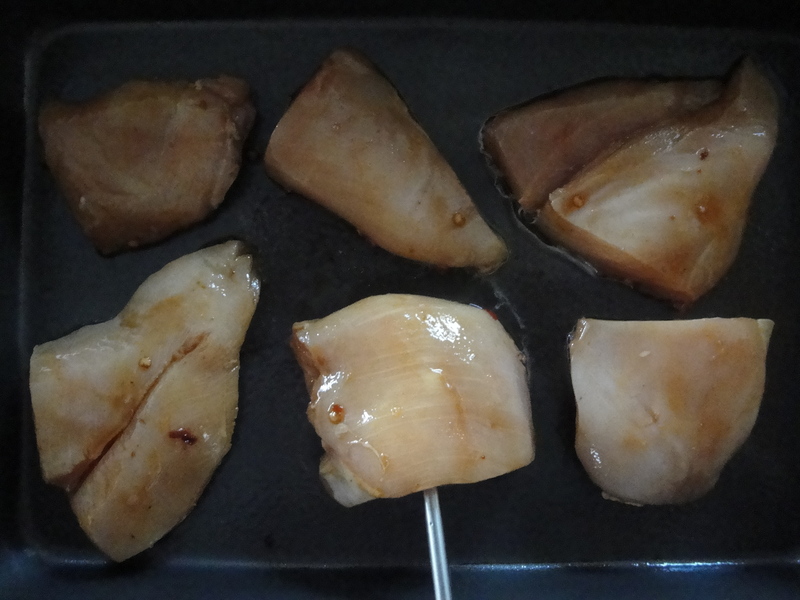 I used skinless, boneless chicken breasts instead of bone-in-chicken thighs and used a meat thermometer to tell me when they were done (165°F!). 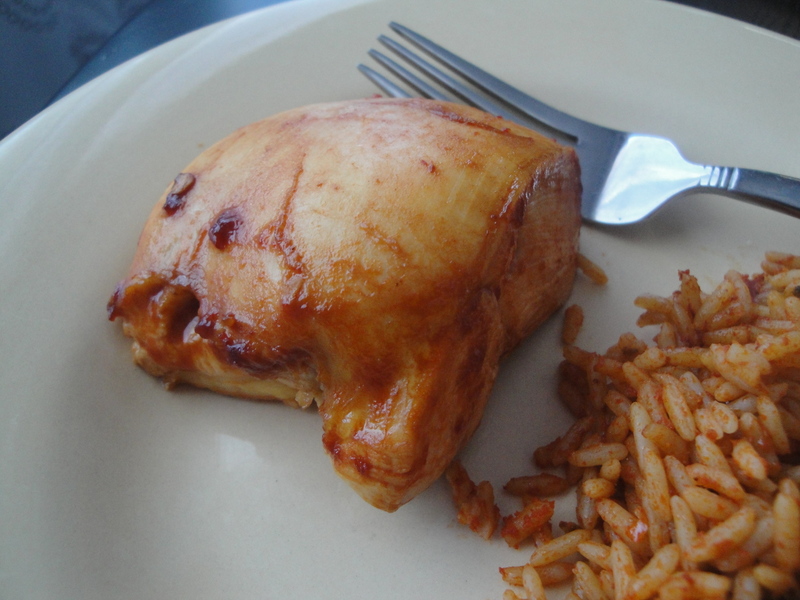 I served this with a side of spanish rice (Uncle Ben’s Ready Rice Spanish Style to be exact!) as per Cooking Light’s suggestion and had a smokin’ hot dinner! 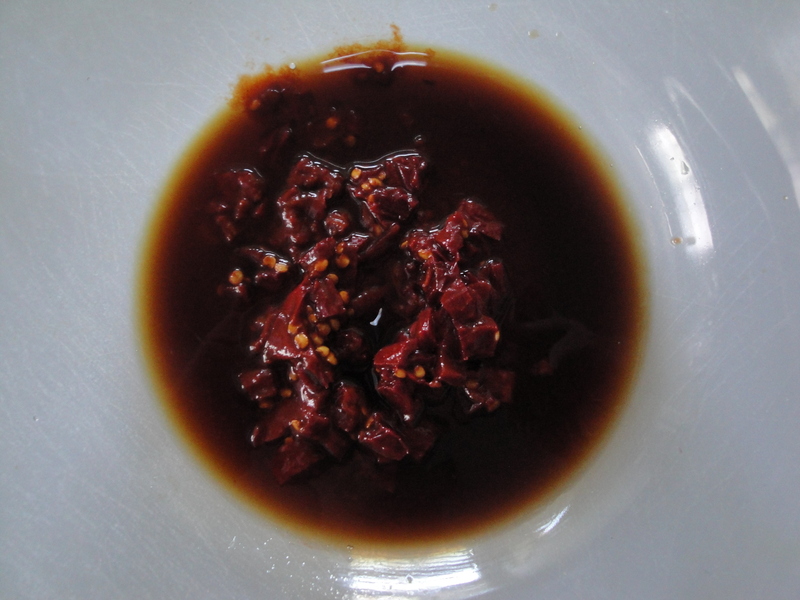 Combine lime juice, soy sauce, honey, and chiles in a large bowl. Add chicken to the marinade, coating well, and let stand for 10 minutes. Place chicken on a baking sheet and bake in a 400°F oven. 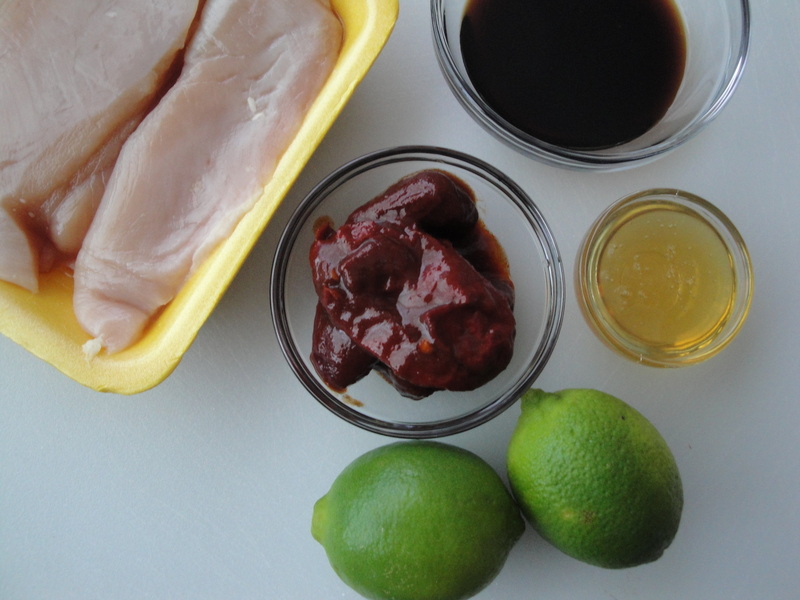 Reserve marinade. Meanwhile, place reserved marinade in a blender and blend until smooth. Pour marinade into a small saucepan and bring to a boil. Base chicken with marinade half-way through the baking process. Pull chicken out once it reaches 165°F, approximately 15 minutes. That marinade sounds heavenly. I’d probably use skin-on chicken breasts, and slit the skin in a few places, but that’s just me! This looks delicious!